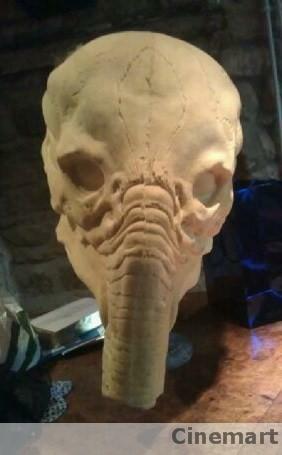 Cinemart has shared some leaked pictures from PROMETHEUS which reveal a pretty strong alien influence. We all know that the "space Jockey" is the actual alien in the movie and looking at these pics we can see some familiar signs. What has been said is there is very little CGI being used for this creature and as you can see by looking at the mask an actor will be suited up. 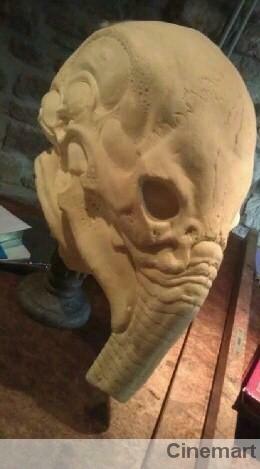 The original Space Jockey was a large creature so could this be a hybrid creation? Director Ridley Scott has confirmed that DNA will play a part in the movie. Prometheus will fly into theaters on June 8th and all of our questions will be answered.